Does America face less terror attacks because its Muslims are better assimilated? I say yes and no. What is it like to be Muslim in America today, and how is the experience different than it may be in Europe, especially in light of the recent Paris attacks? 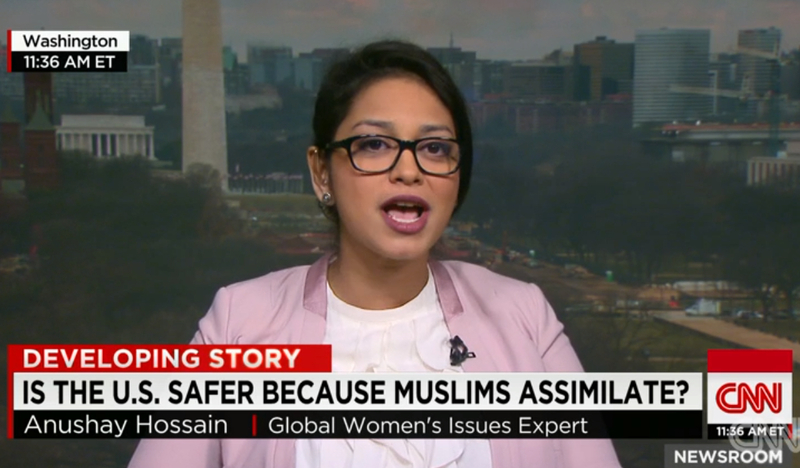 That is what CNN America’s John Berman and I spoke about on Monday, analyzing the experience of Muslims in Europe, especially in France where secularism plays such a key role in the country’s identity. You can catch the full interview here. 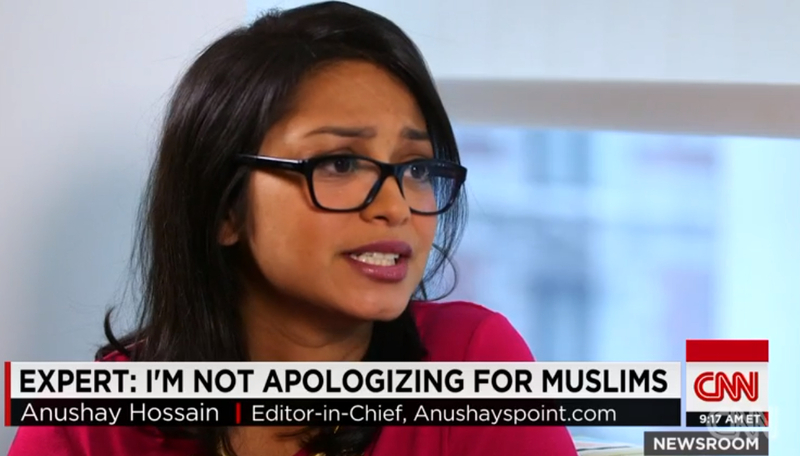 Muslims are being collectively punished for the acts of extremists, and this needs to change I tell CNN. 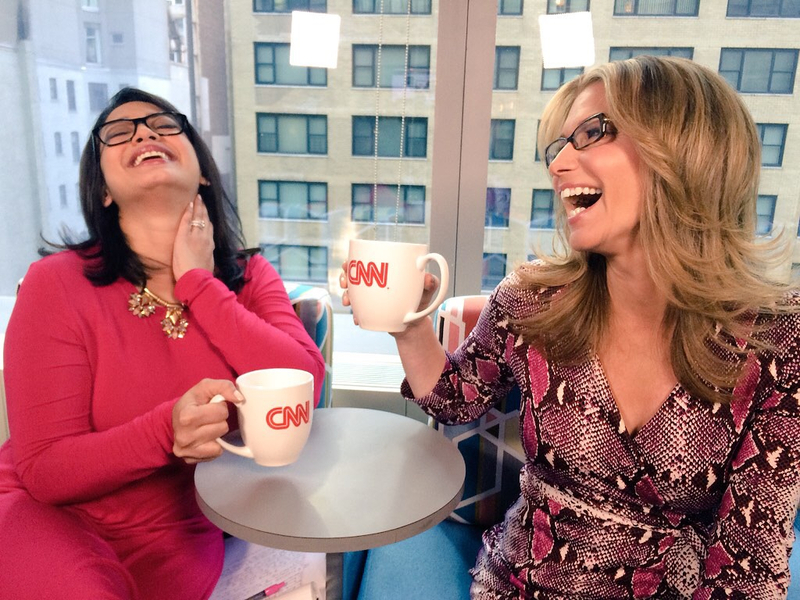 This conversation was really a continuation of the discussion I had with CNN America’s Carol Costello last week at CNN’s New York studio. I told Costello the media is obsessed with the image of the Muslim woman as a veiled victim, while ignoring our diversity and strength. I loved speaking with Costello about the collective punishment of Muslims, and how one Muslim, myself included, cannot speak for the 1.7 billion people who follow the faith around the world. Watch our longer conversation here (I come in at 18.27) where I also talk at length about what it is like to be a Muslim woman in the world, and how the media dismisses our diversity, strength and empowerment opting instead to paint us as victims. Check out the three segments and tell me your thoughts. Do you think moderates are responsible for the actions of extremists?